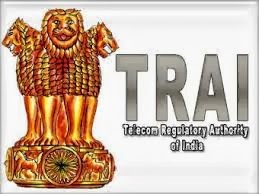 The Telecom Regulatory Authority of India (TRAI) today issued its recommendations on “Improving Telecom Services in the North Eastern States: An Investment Plan”. On 22nd April, 2013, the Department of Telecommunications (DoT) requested Telecom Regulatory Authority of India (TRAI) to carry out a gap analysis and prepare an investment plan for providing quality telecom services in the North Eastern States. The intention was to formulate a comprehensive telecom plan for revamping and augmentation of telecom services in North Eastern Region. The North Eastern Region (NER) comprises the States of Arunachal Pradesh, Assam, Manipur, Meghalaya, Mizoram, Nagaland, Sikkim and Tripura. The region is characterized by extremely tough terrain with relatively poor infrastructure, such as rail, roads, electricity and telecom. Attempts have been made in the past to increase telecom connectivity and teledensity in the region. However, the results so far have not been very encouraging. As on May, 2013, of the eight States in the NER, teledensity in five States is below the national average wireless teledensity of 70%. Similarly, in four States, namely, Arunachal Pradesh, Manipur, Meghalaya and Mizoram, the percentage of villages not having mobile coverage ranges from 55.9% to 24.3%. This is very high when compared with most other States where the percentage of uncovered villages is less than 10%. To assess the present status of telecom infrastructure and the gaps in the NER, detailed consultation was held with various stakeholders, namely, Universal Service Obligation Fund Administrator (USOFA), Telecom Service Providers (TSPs) operating in the NER, Public Sector Undertakings entrusted with laying optical fibre cable in the NER viz. BSNL, Railtel and PGCIL. As the State Governments are vitally important stakeholders in this exercise, four teams of senior officers of TRAI met the Chief Ministers and top-level State Government officers of some the NER States to understand their perspective and concerns about the telecom infrastructure in their States. (d) The desired connectivity and existing connectivity across National Highways passing through the States. • Keeping in view the future bandwidth required for broadband in the NER, the core network has been strengthened to provide connectivity with redundancy/diversity between all State capitals and State capitals and the District Headquarters. • In addition, the Authority has also recommended investment requirement for providing seamless connectivity along all National Highways in the NER. (g) Set up a single-window clearance system for all telecom related clearances/NOCs like pollution/noise control certificate, environment clearance, site acquisitions, commercial power supply etc.